Today is a special day for Epsilon, as after months of planning and ideas, we have finally come up with the answer to many questions that we see often about the project. So without wasting anymore time, let’s get into some of the questions that I have been asked since we released our plans! Question 1: What are your plans with the generation 6 and 7 mechanics and features? Question 2: How are you gonna include all the new Generation 7 pokemon? As we’ve stated in the past, we will be including all Pokémon that are in the official games up to the seventh generation. This means that if Epsilon is not completed before the start of the eighth generation, we will still not be adding those Pokémon into the game. This is to prevent having a rushed and incomplete addition of more Pokémon into our game like Zeta/Omicron had with generation 6. This also means that because there are many Alola-specific forms in generation 7, we will most likely include a special event to obtain the majority of these variant Pokémon. The rest will be included into the game just like the other 6 generations, as we will have two complete regions to focus on spreading all of the Pokémon and legendaries around. Question 3: What do the main character’s look like? Today is an excited day, as we are finally able to show you how the protagonists will look when you first see them in the game! Throughout the game you will be following the story of three young trainers as they go and explore the Vesryn region in the hopes of conquering the Quasar League and saving their home from the wars waged between Team Asgard and Team Olympus. 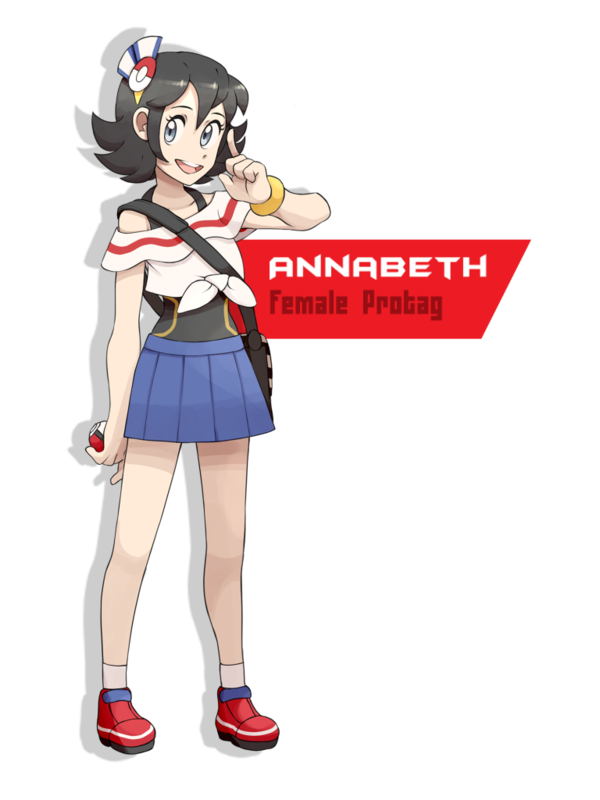 You will play as either Austin or Annabeth, a 17 year old resident of Nyasa Town that was pushed out of their home by an fight between the two evil gangs that ended up destroying your home in the process. Now you go off, ready to explore the world as you look for a way to protect the Vesryn region and take down both Team Asgard and Team Olympus. 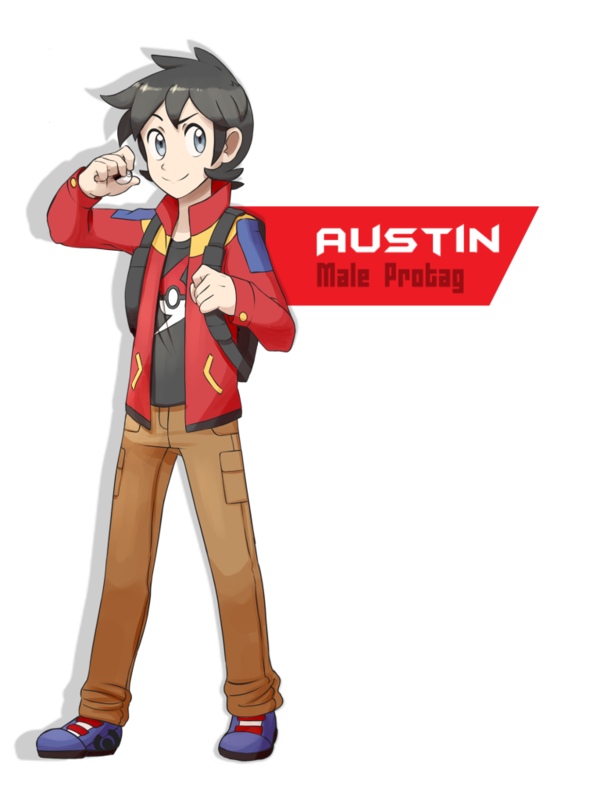 Along the way, you’ll meet Jake, another teenager that was top of his class in his trainer’s school of Zarivar Town, and one of the newest assistants to the professor. 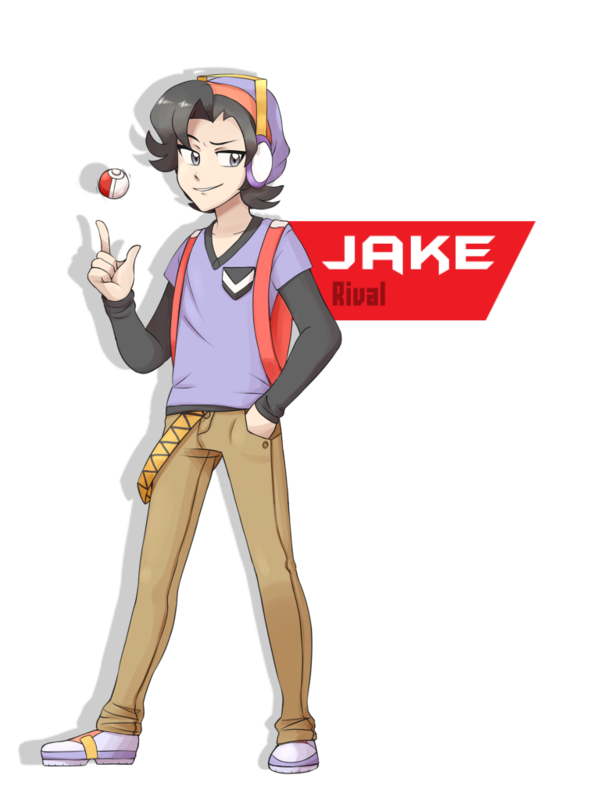 Jake will accompany you throughout your journey, helping to research new Pokémon and working to become the champion of the Quasar League! Question 4: Are there any other characters to show off, or other screenshots? While I wish I could say that there was more to show off at this time, unfortunately production was slow for the team these last few months due to our everyday lives taking up more time than we expected. The teammates that were able to continue production somewhat as planned have mainly focused their efforts on cleaning up the coding of our Unity engine to help improve the process later on, and working on completing the story of the main game. Question 5: Can we expect more updates in the future, on a much more scheduled plan? Yes! We are beginning to make changes to better adjust for these busy schedules, and will be ready with brand new screenshots and even more new characters to show off in the next update, along with starting to reveal the real basis of the story, and even more features to show off! Because this update did come later than anticipated, we will be shooting to make our next update on April 26th, but watch out for other new information on our twitter and on the blog or the reddit in the meantime! So until then, we hope you enjoy the new website, and we can’t wait to show everything we have planned for 2017!